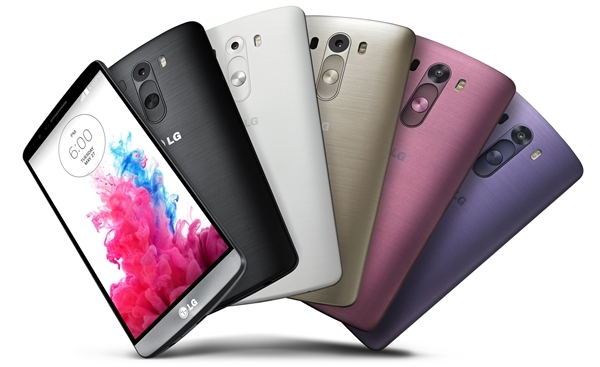 LG got us excited yesterday when the product webpage hinted that the G3 would come with a lightweight metallic chassis. Unfortunately, that isn't the reality. The G3 is still clad in a plastic shell. 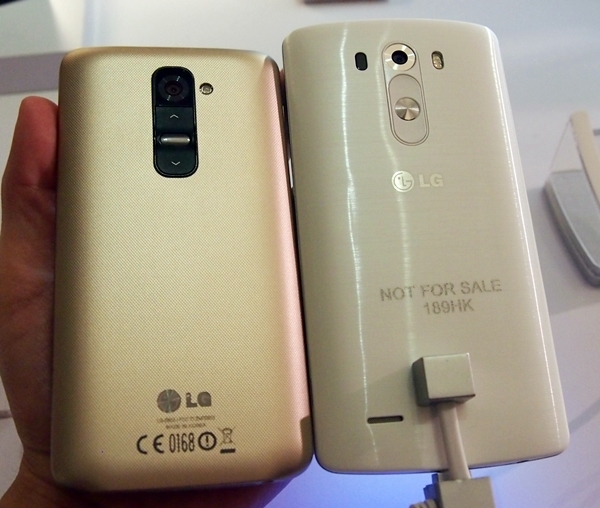 Describing it as "a metallic skin", LG said that a matte texture is applied on top of the plastic to make it resistant to fingerprints. After a few minutes of handling, the rear of the G3 still remained clean. It also felt comfortable in our hands thanks to the "floating arc" design language which gave the G3 a tapered back similar to the One (M8). The signature rear button setup is refined on the G3; LG said it optimized the heights and angles of the rear keys, and improved the materials and texture for a more optimal feel. Testing both the G2 and G3 side by side confirmed that the new design is indeed better, especially the power button which protrudes lesser. 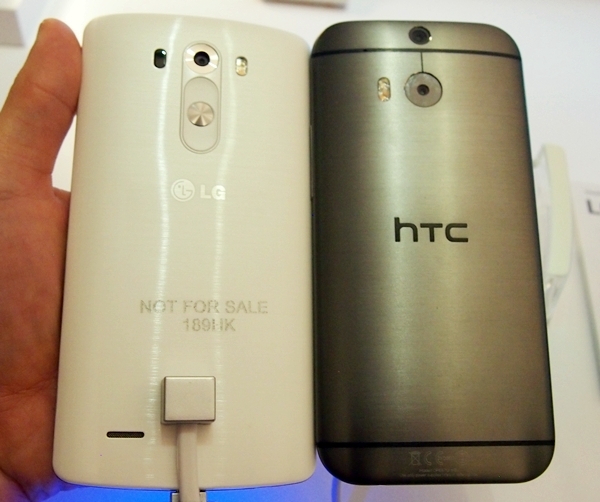 One of the key highlights of the G3 is its Quad HD (QHD) or 2K IPS display. Chinese phone makers Vivo and Oppo may have beaten LG to the punch, but the Korean company is the first major manufacturer to offer a smartphone with a QHD display. This brings in the million-dollar question: Is a QHD display better than a Full-HD or HD screen? Theoretically speaking, some calculations point to an increase of 78% in pixel count between a QHD and Full-HD display which could mean that everything looks sharper on the former. Whether your eyes are actually good enough to spot the differences between a QHD and Full-HD display is a debate we will leave for the opticians to address, but we could hardly discern any differences between the two during our hands-on session. With a pixel density of 538ppi, the G3 may be in the running for the sharpest display alongside the Oppo Find 7 unless Samsung decides to step in and spoil the party with the alleged Galaxy S5 Prime which is said to sport a smaller 5.2-inch QHD display. 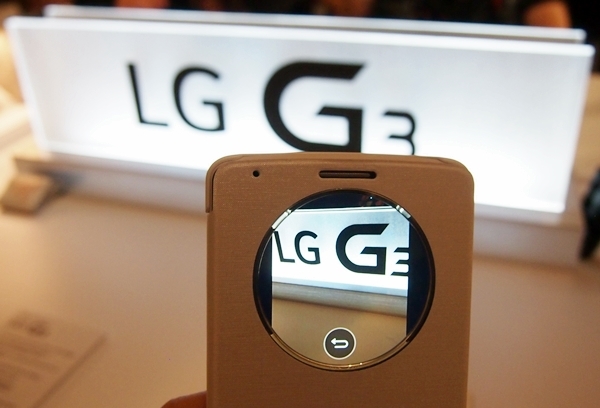 Flip cases with windows or openings for access to selected features or functions are nothing new, but LG differentiated itself from the rest with the Quick Circle case. Unlike Samsung and other third-party accessory makers, the Quick Circle case has a circle window which allows you to check the time, place calls or check the call log, send text messages, take photos, listen to music or access LG Health app without flipping the cover. There are also two other official cases - Slim Guard Case and Slim Hard Case - for the G3. 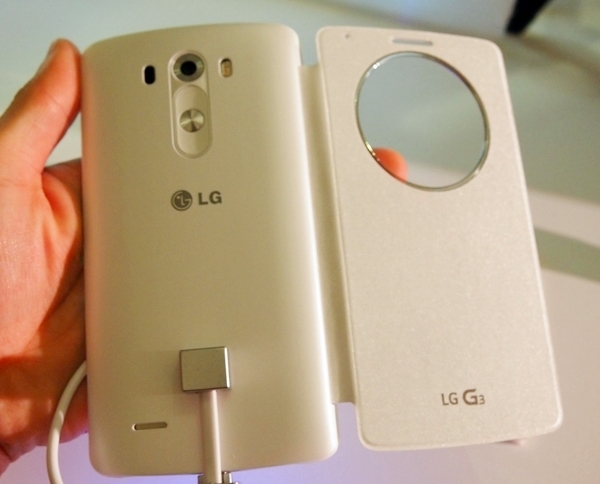 The former replaces the rear cover of the G3 and has protective rubber edges to protect against accidental bumps. The latter is a snap-on case with a premium leather finishing. All three official cases (Quick Circle, Slim Guard and Slim Hard cases) support the wireless Qi charging standard. 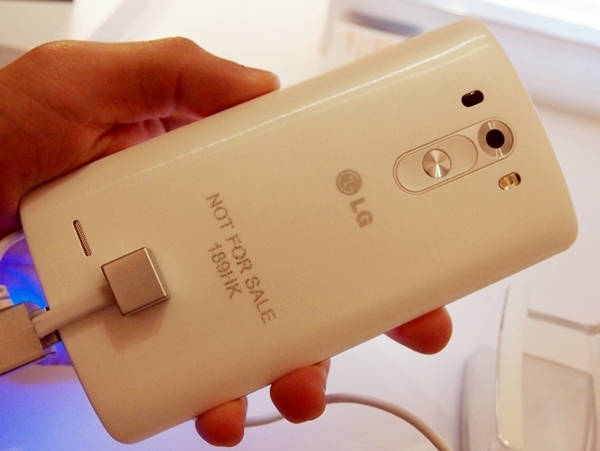 On its own, the G3 is able to be charged wirelessly too. 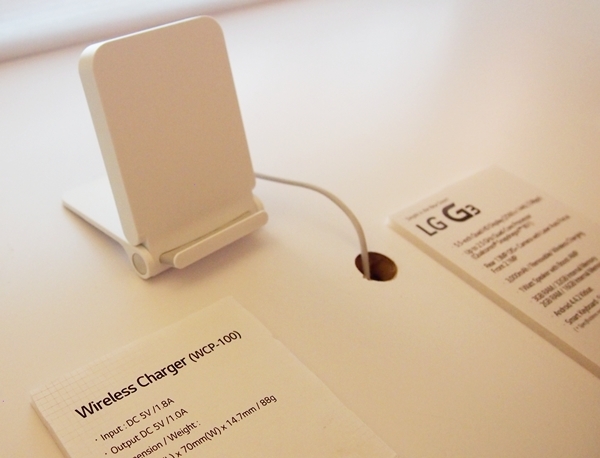 We were told by LG Singapore that the G3 can be charged using any wireless Qi chargers. 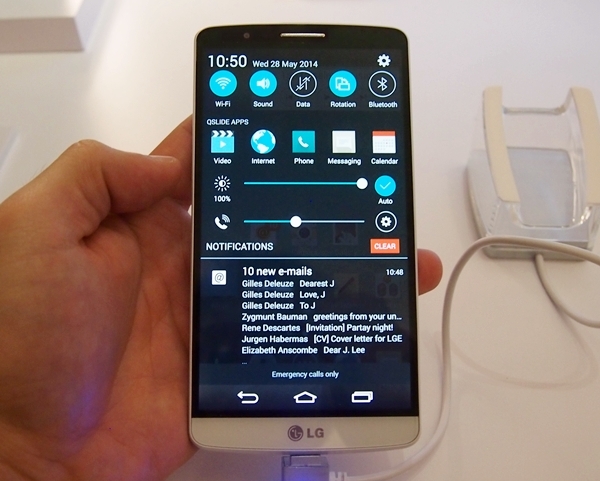 The LG G3 will soon be introduced in the Philippines in the coming months.